Destined to be a favorite! Diamond hoop earrings with 1/3 carat total in round diamonds mounted in 14K white gold. 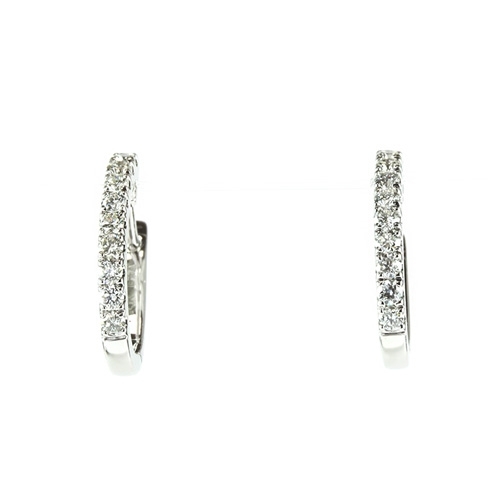 Cross in 10K yellow gold with diamond.. Diamond hoop earrings in 14K white gold 1/2ct tw. Emerald and diamond ring in 14K white gold Shimmering yellow and white diamond pendant in 14K white gold.